Let me put the fears to rest. 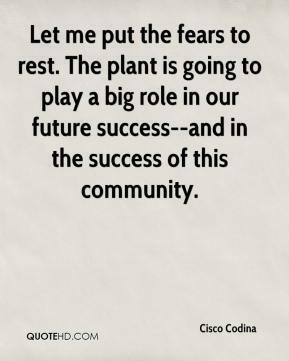 The plant is going to play a big role in our future success--and in the success of this community. The Ford Motor Company Fund is a charity. It has a community agenda, not a political one -- and it supports causes and people from all walks of life. 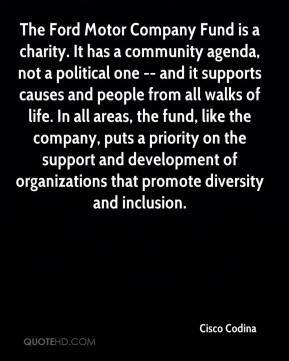 In all areas, the fund, like the company, puts a priority on the support and development of organizations that promote diversity and inclusion. 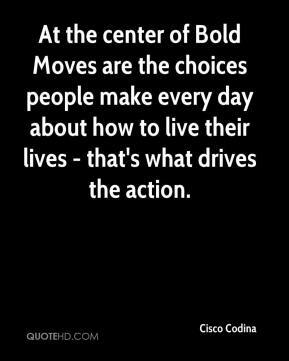 At the center of Bold Moves are the choices people make every day about how to live their lives - that's what drives the action. These changes are sure signs that Ford is on offense and fighting back. 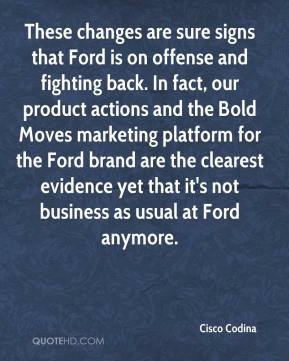 In fact, our product actions and the Bold Moves marketing platform for the Ford brand are the clearest evidence yet that it's not business as usual at Ford anymore.